If you are looking for Christmas gift ideas, here are two selections which I have put together. 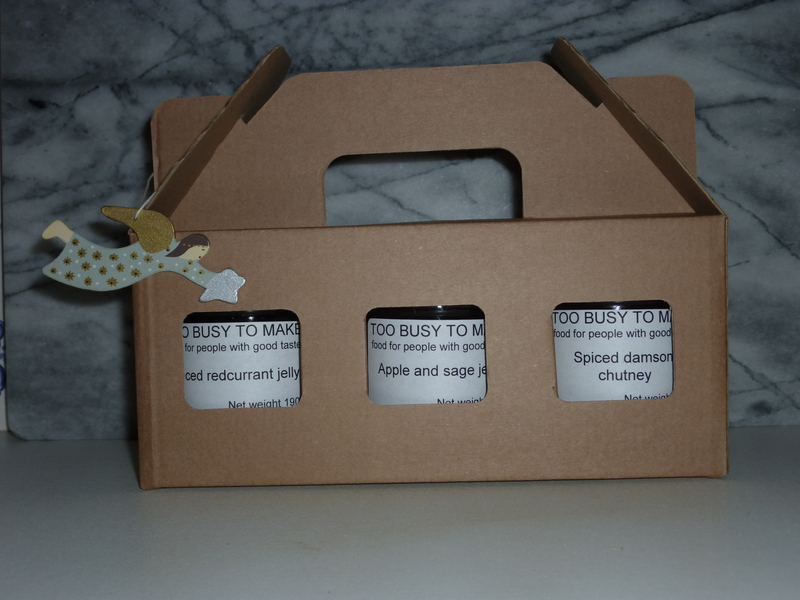 They can be tailored to suit your requirements – select 3 jars of the same size and hey presto! Shown here are two chutneys with one mincemeat which will cost £12.00 and two jellies with one chutney which will cost £10.00. 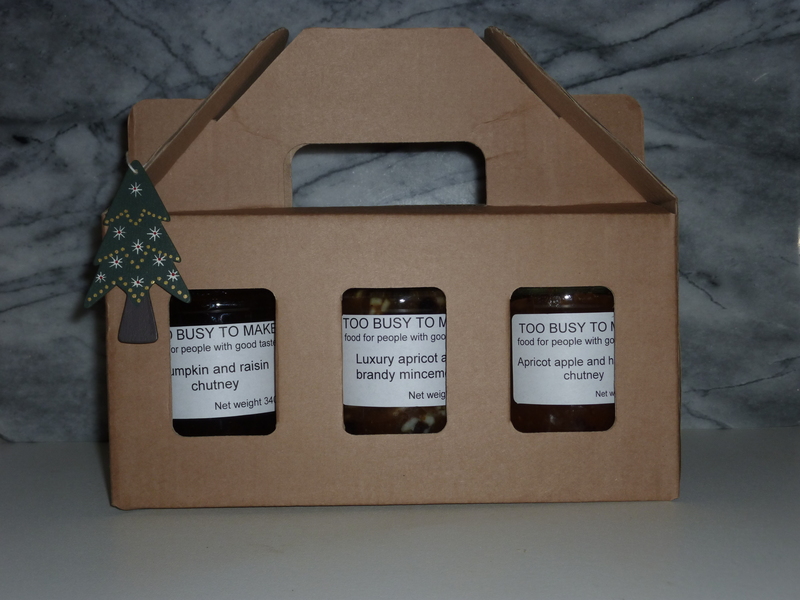 Other combinations can include jams and marmalade – please contact me with your exact requirements and I will let you know the cost.